Volkswagen Golf Boot Space, Size, Seats | What Car? Are you tall and fed up with a car that forces you to contort yourself just to get inside, or ruins your bouffant as you smear hair gel across its low-lying rooflining? Well, try the Golf; there's an abundance of head and leg room in the front, and its generous width means you won’t want for shoulder room, either. The front door pockets are each big enough for a 500ml bottle of water and there are two cupholders in the centre console. You’ll also find a storage bin under the front centre armrest, along with a decent-sized glovebox that’s kept cool by the air-con. Step up from entry-level S to SE trim and you get a concealed drawer under the front passenger seat and a glasses holder by the rear-view mirror. 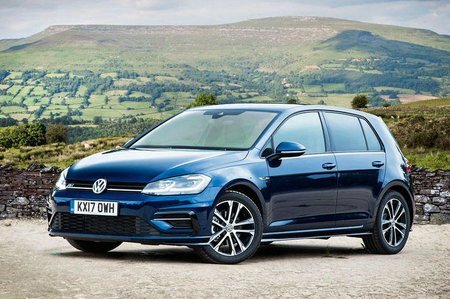 The Golf’s roomy interior dimensions allow a pair of six-footers to sit relatively comfortably in the back, although things get a bit tight when a third occupant is introduced. Because of a raised tunnel that runs along the centre-line of the car, the middle occupant is rather short on foot space. Otherwise, there’s a decent amount of leg and head room but not as much as you’ll find in the cheaper Skoda Octavia or Ford Focus. The rear door pockets are narrow, so a 500ml bottle is a bit of a squeeze. 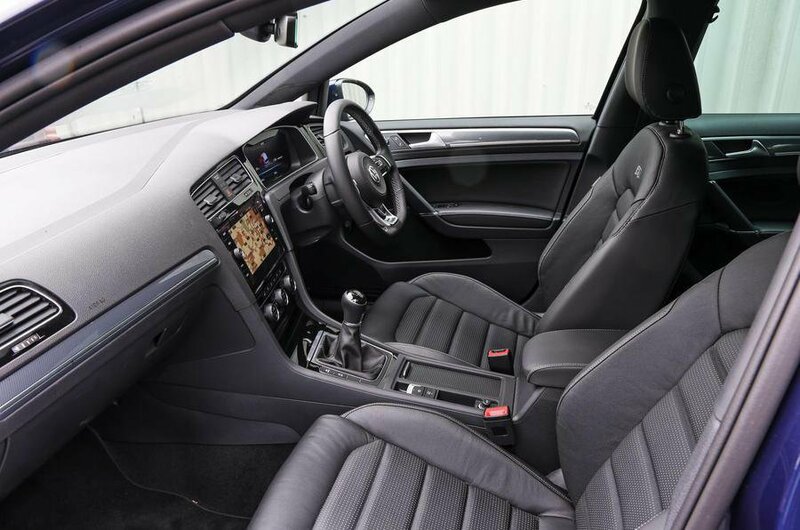 However, go for SE trim or above and you gain a couple of cupholders in the rear centre armrest, along with storage pockets on the rear of the front seats. On five-door models, large, square rear door openings make it easy to get in and out of the back without banging your head and, while a little more contortion is required, access isn’t too bad on three-door versions, either. The Golf’s rear seats are pretty conventional and don't do anything clever like slide or recline. As with most hatchbacks, though, you can fold the 60/40 split seatbacks after pulling a lever next to the outer head restraints. Once dropped, the seatbacks lie virtually flat. On five-door SE and Match models you can pay extra for a front passenger seat that folds completely flat and enables you to carry seriously long items. 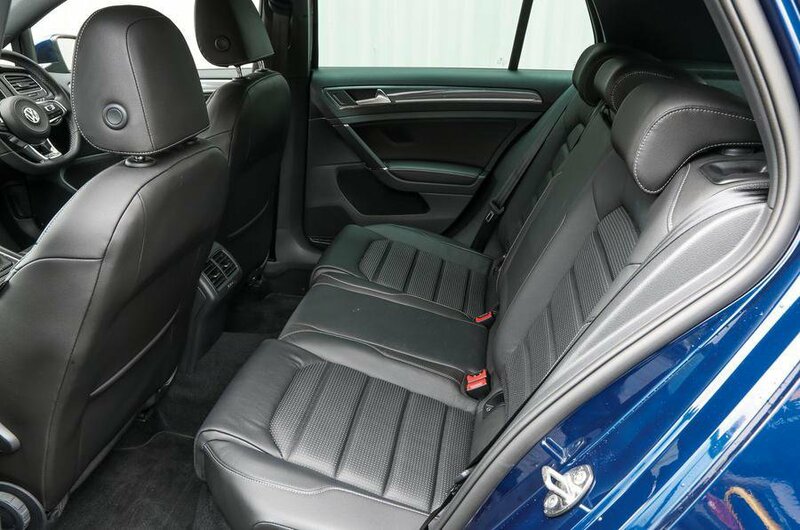 Three-door versions have easy-entry front seats; when slid forwards for rear-seat access, they move upward to make it easier to get in and out of the back seats before returning to their original position afterwards. There’s plenty of room in the boot for the weekly food shop and you can just about squeeze in a set of golf clubs or a fold-up baby buggy. We managed to fit five carry-on suitcases on board, which is one fewer than a Ford Focus would take. If you need something seriously big, though, the Skoda Octavia can accomodate eleven cases. All Golf models come with a height-adjustable boot floor. This lets you create two separate compartments and when raised, reduces the step that's created when the rear seats are folded down. With the floor in its highest setting, there’s barely any lip to negotiate when lifting heavy items in and out, either. Match and upwards have a through-load facility in the rear middle seat. This allows you to carry long, thin items such as skis without folding the rear seats down.